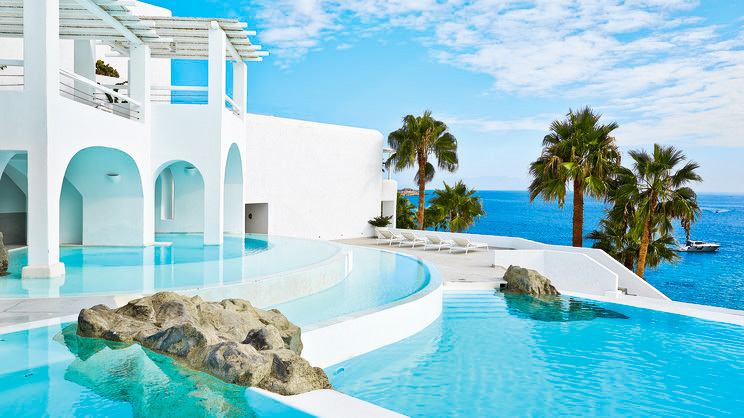 Indulge in absolute Cycladic serenity at the Grecotel Mykonos Blu. 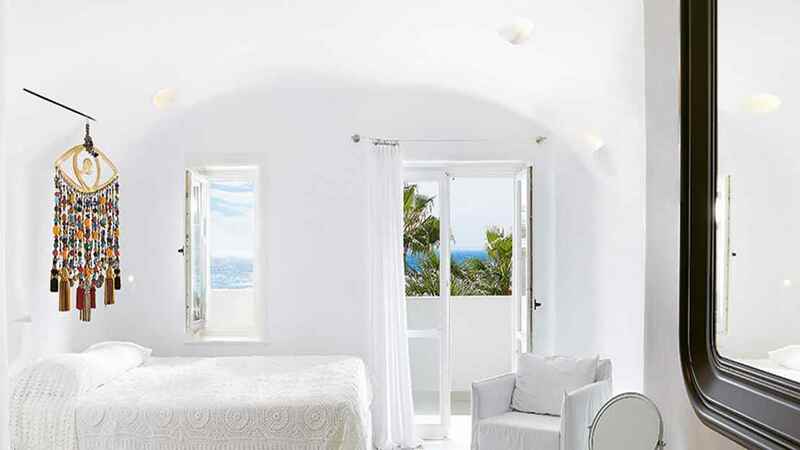 A paradisiacal palette of blues and whites, this luxury abode overlooks the azure waters of the Aegean and offers guests an unparalleled, peaceful Greek escape. There is a range of sumptuous accommodation options available and a split-level infinity pool onsite, as well as tempting eateries and awe-inspiring activities on offer. The golden sands of Psarou beach are just steps from the hotel, where a beachfront bar and comfortable sun loungers await. 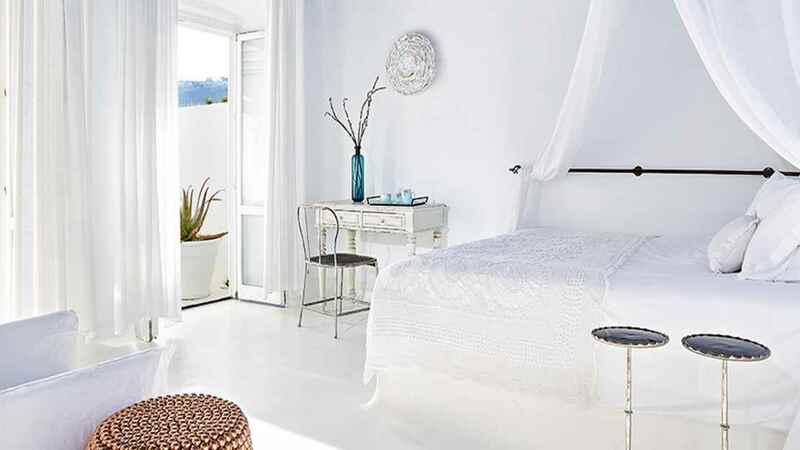 The Grecotel Mykonos Blu overlooks the stunning Psarou beach, which is only a few steps from the hotel. 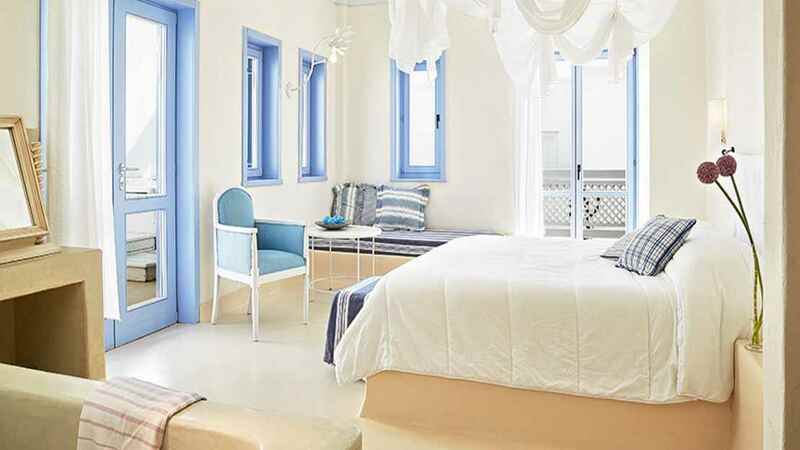 The hotel sits in a charming location in a crescent bay where there is a selection of hotels, a couple of local tavernas and a beachfront bar. 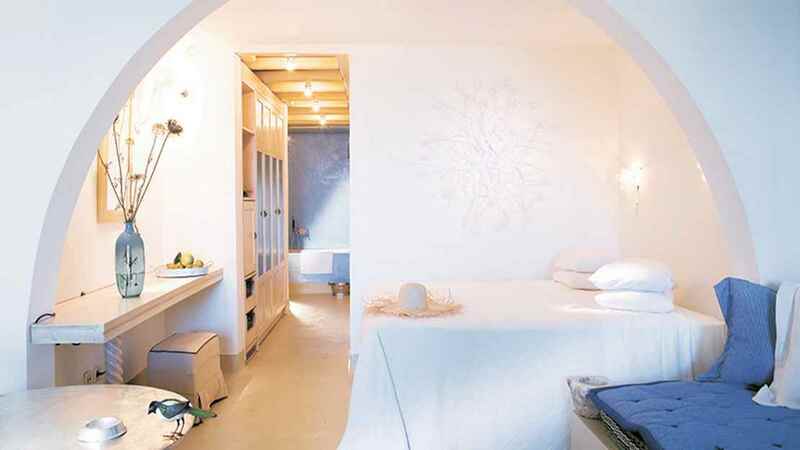 Mykonos International Airport is approximately 4km away from the Grecotel Mykonos Blu hotel. 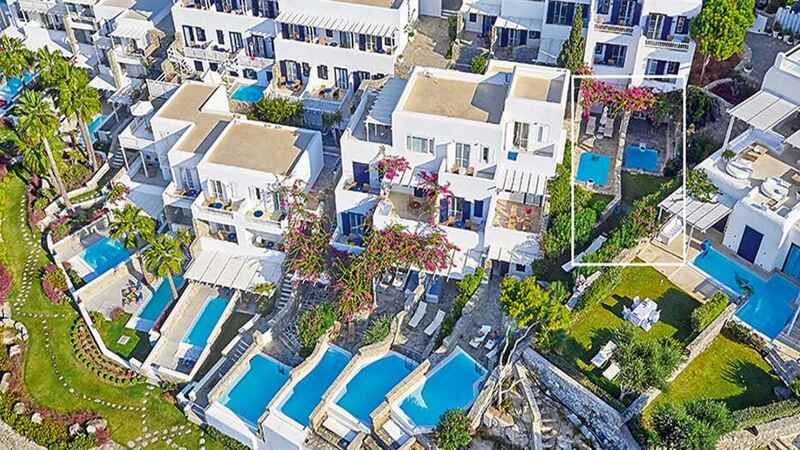 Grecotel Mykonos Blu also offers special dining opportunities such as in-room dining, villa BBQs, romantic beach dinners and family dinners on the beach.